At the first meeting in September, the PTA agreed to contribute £300 towards the cost of a Year 4 Samba Drumming Workshop. 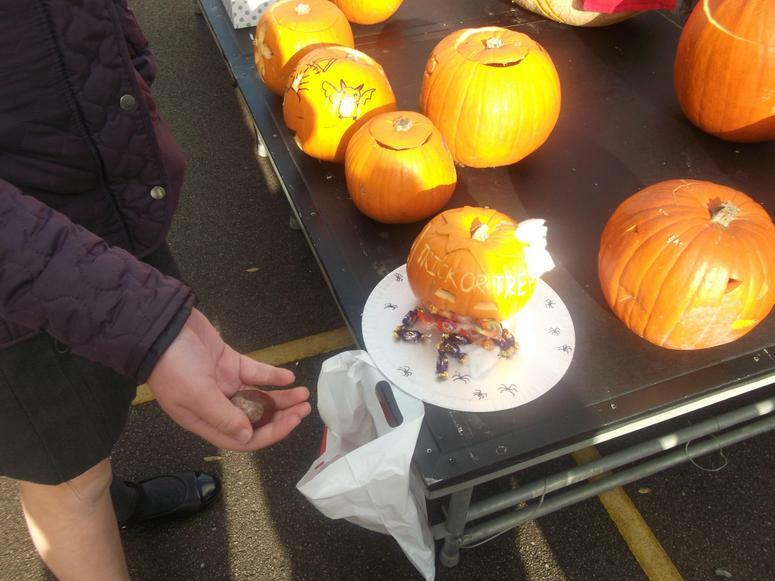 The Pumpkin Carving Competition in October had close to 100 entries and at their meeting on Tuesday 30th October the PTA decided to donate £50 to the school for Christmas decorations. The November Bags2School raised £168. 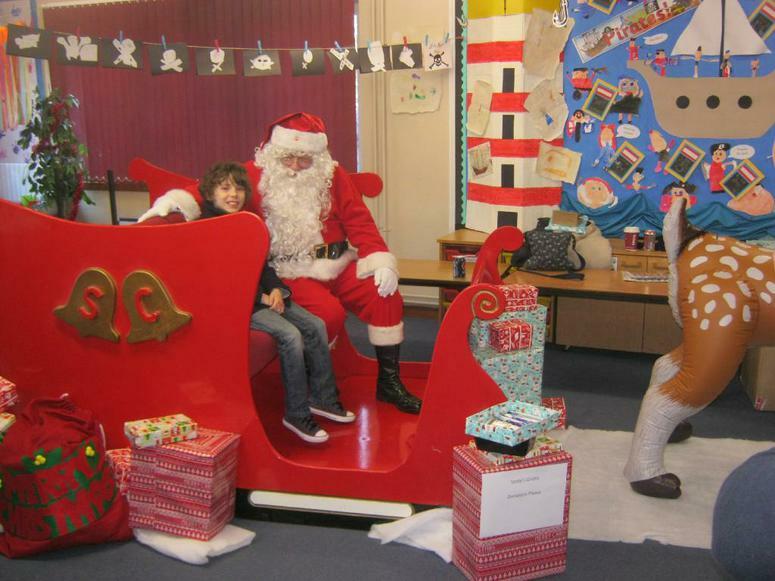 T.he Christmas Fair raised close to £1600. The Christmas Discos raised £675. 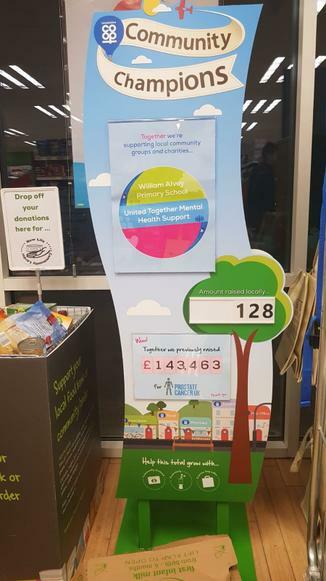 The Galley Hill Co-op have kindly donated £666 to the school through the Community Champions scheme. 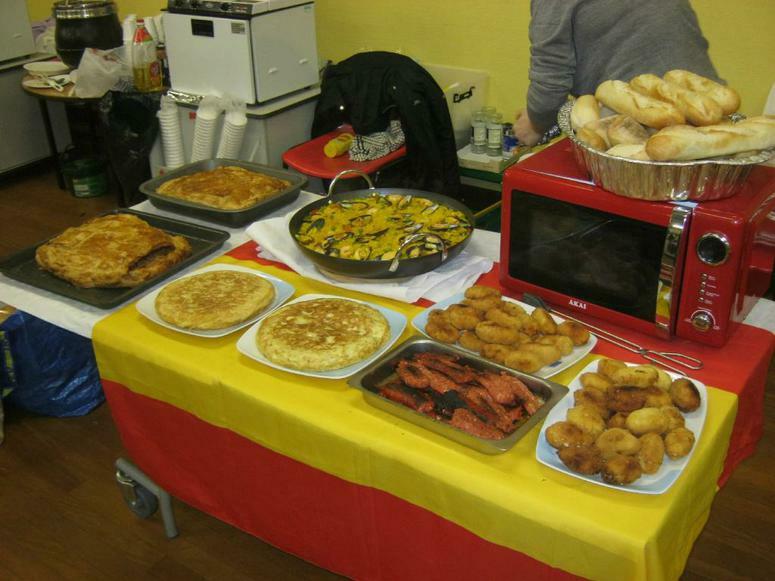 The Tuck Shops in January raised £75. In their meeting on Tuesday 15th January the PTA agreed to pay for the new LED lights in the main hall and contribute £500 toward the cost of the LED bulbs in the astro-turf flood lights. Bags2School in February raised £132.Our Chocolate Bingo on Friday 29th March was great fun and raised £330.The Magic Show raised £270 and the Easter Discos £859. Summer Fair Sunday 30th June 2019. If you are a parent or guardian of a child attending the William Alvey School then you are automatically members of the PTA along with any member of staff . 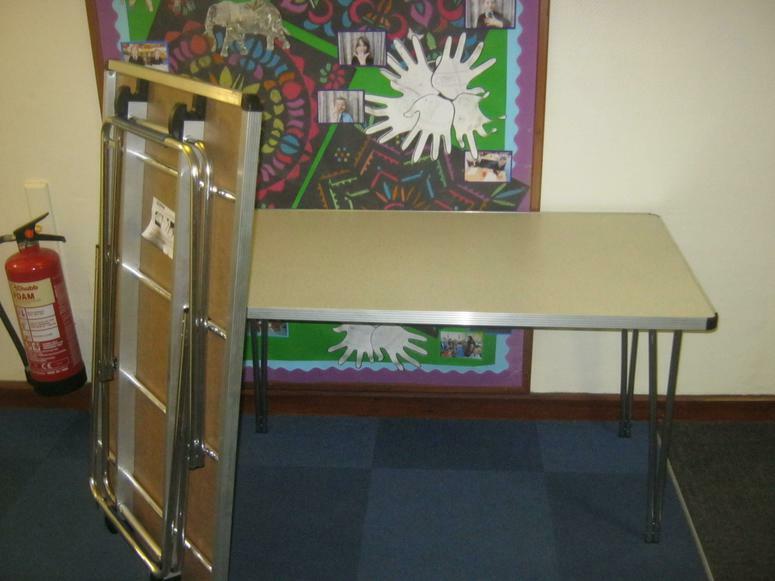 As a member you are entitled to attend the regular committee meetings that are frequently held either at the Solo Club Sleaford or at the School . At these meetings you are welcome to put forward any suggestions for fundraising and how to spend the funds raised by the PTA. 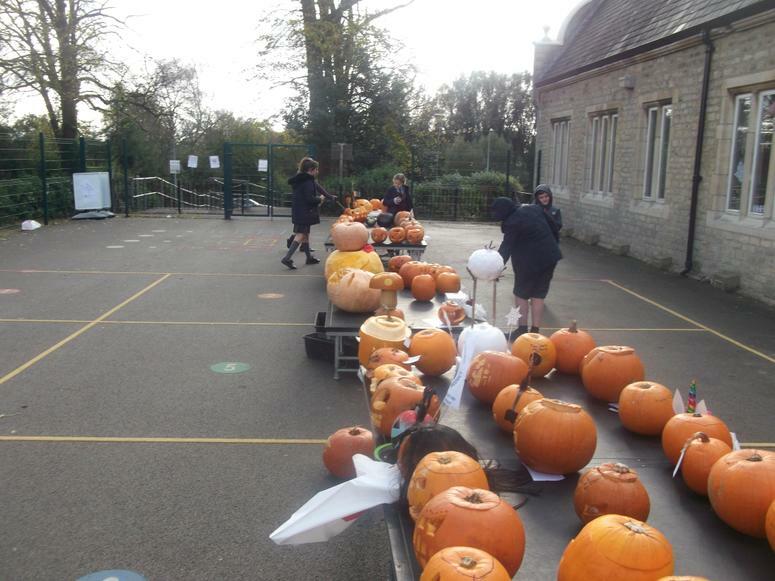 Working in partnership staff and parents organise and run various fundraising and social events for the benefit of the school. We really look forward to seeing you there !! If you wish to contact us or speak to us about any aspect of the PTA then please don't hesitate to email us or feel free to speak to a member of the voting committee. For the last couple of years we have raised money from school discos , Christmas fair, Chocolate bingo night, quiz night , cake sales , bags to school and the sale of drinks, sweets etc at various functions. How is the money spent​? 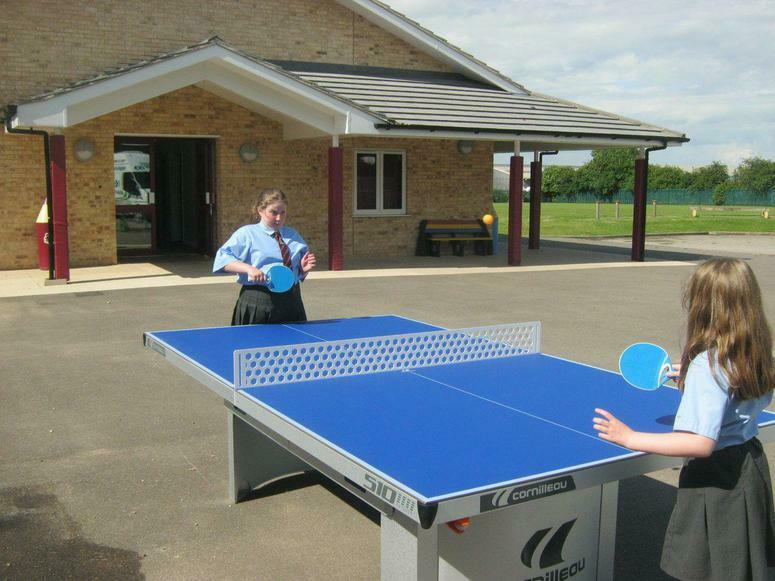 Last year money raised by the PTA was spent on subsidising trips for every year group, sports equipment, new musical instruments and musical equipment, new goal posts , french dictionaries and the Year 6 leaving activities and yearbooks. easyfundraising.org.uk is a great way of raising funds for the school and it doesn't cost a penny. Simply log onto the website before shopping online and the school receives a percentage of the value you have spent. Amongst the 2000 companies that take part in this scheme are Tesco, Argos, ebay, Amazon, Groupon, M&S and John Lewis. Book holidays, car rentals, airport parking using Thomas Cook, Butlins, Virgin Holidays, Haven , Jet2.com and expedia all through easyfundraising. In 2016 we raised £44.44. Thank you. All purchases from these catalogues earn a percentage for the school providing code SWI1184 is entered at checkout. If you are ordering a takeaway apps like this will enable the school to receive 1% of your total order value. Participating establishments are: USA Chicken Express , Pizza Delight & Kebab House, Lucky Star Chinese, Mario's Pizza, Fillets Fish and Chip shops. Have you taken the PTA survey? Use our survey to tell us what you think.